Surrounded by majestic crystal clear waters and impressive granite mountain peaks, North Lake Tahoe is the perfect place to get in touch with your inner self. Plan a visit to Tahoe at one of the upcoming wellness retreats for a relaxing getaway amidst vibrant green pines, lush scenery and fresh alpine air. Whether an all-girls ski getaway or a yoga-filled meditation weekend is your cup of tea, there are plenty of ways to relax at North Lake Tahoe. Gather the girls together for a ladies day on the expansive peaks of Squaw Valley for the Burton Relax & Ride snowboarding workshop. Create groups of two to six people, ages 21+, and enjoy a half-day of riding with a customized agenda created by the group and the instructor. When the tummy starts rumbling, enjoy a complementary lunch and kick up those tired feet for a mini-spa treatment and wine at Trilogy Spa. After a chilly winter; revitalize the body and spirit through an in-depth experience with the art of yoga. Held May 27 through May 30 at Granlibakken Tahoe, rates for the Spring into Summer Yoga Retreat start at $168 with two or three nights’ accommodations. Daily meals, meditation and yoga practice invigorate the mind and body. Also included in the package is complementary Wi-Fi and parking, on-site saunas, hiking trails and great music and local entertainment. Be sure to take advantage of this great relaxing escape. One of the largest yoga festivals beloved by yogi’s around the world returns to its birthplace of Squaw Valley. 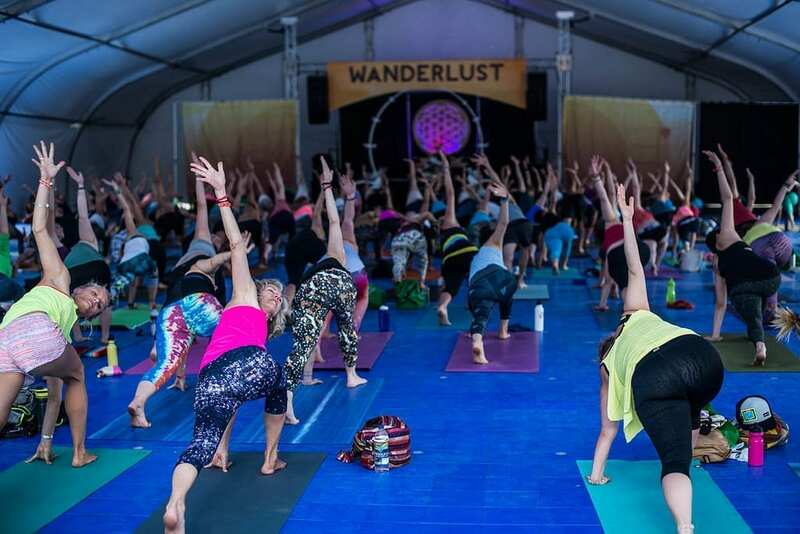 Connect with the healthy living community at the annual Squaw Valley Wanderlust Festival July 14 through July 17. Practice yoga to clear the body and mind with an array of accomplished leaders from around the world. Enhance awareness of the surrounding world and connect with others to learn how to take life’s challenges head on. The event may not be until summer, but tickets are now on sale. Guarantee a spot amongst fellow yogis for a weekend of yoga, meditation, live music and an overall grounding experience. The post Invigorate Your Mind at These Wellness Retreats appeared first on Go Tahoe North.